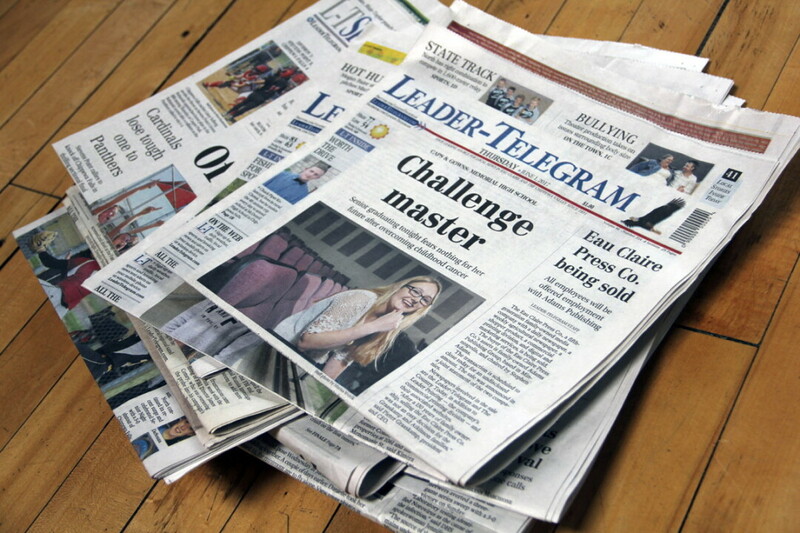 The Leader-Telegram – which was one of the few remaining family-owned daily newspapers in the United States – has been sold to a Minnesota-based chain. The newspaper’s parent, the Eau Claire Press Co., announced the sale to Adams Publishing Group on May 31. The Eau Claire-based Leader-Telegram has been owned and operated by members of the Graaskamp and Atkinson families since shortly after it was founded in 1881. According to a report publishing in the Leader-Telegram, the sale included all Eau Claire Press Co. assets, including The Country Today (a rural-focused weekly paper) and Leader Printing (a commercial printing business). Terms of the sale were not disclosed. According to Adams Publishing Group’s website, the company owns “63 community newspapers, their 18 advertising shoppers, 20 specialty publications and 81 associated websites.” In addition to numerous newspapers across Minnesota and Wisconsin – including those in Rice Lake, Ashland, and Spooner – Adams owns publications in Idaho, Wyoming, Michigan, Ohio, Virginia, Maryland, and Washington, D.C.
For readers and employees, things should stay the same – at least for the time being: The new owner will offer jobs to all Eau Claire Press Co. employees, including members of the Graaskamp family.